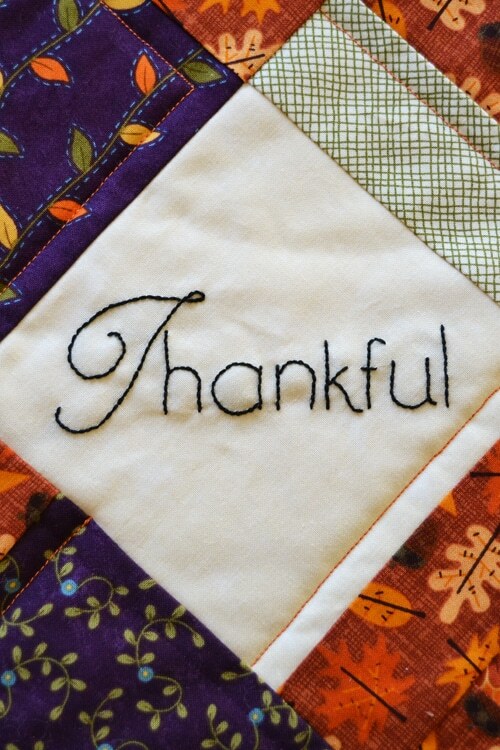 A little something from my sewing table this fall… my Fall Charm quilted table runner. Isn’t that fun? I love all of the prints I used from Moda charm pack “Perfectly Seasoned” by Sandy Gervais. So fun with all of the purple and orange prints together! But embroidery is optional. The runner is lovely without it. 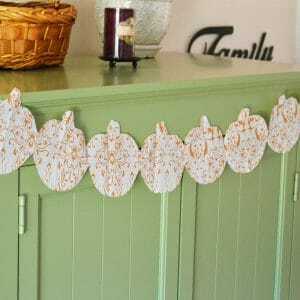 So, if you’re feeling an urge to sew something pretty and fast for your Thanksgiving table (or Christmas/winter, whatever you like), I’ve put together a quick pattern for you! 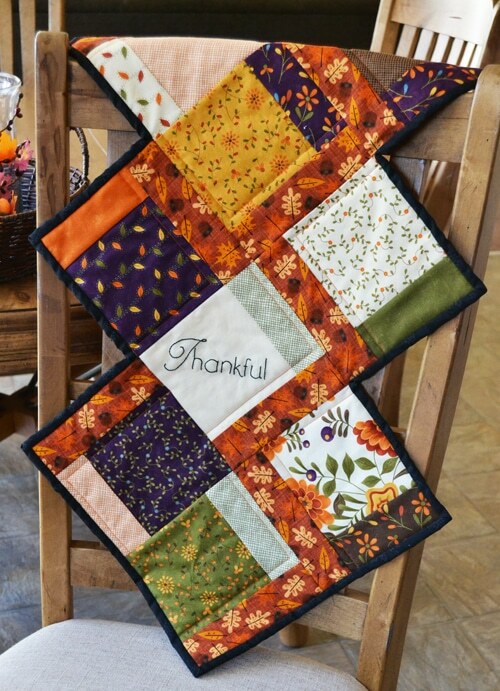 The pattern is simple and you use your favorite methods for quilting and finishing with binding. I did not include instructions/design for the extra embroidery I did on the runner top as it was a last little optional touch I added. 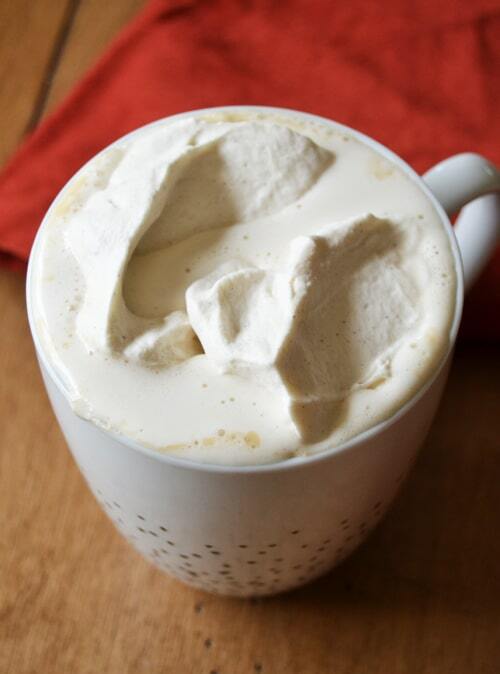 What would sewing in the afternoon be without something hot to drink topped with something creamy and sweet? Click Here to Make It! Hi Chloe! Apologies! Fixed the link again 🙂 Just sent an email! I have signed up and not received the pattern as well. I did check my spam folder. I really like the look of it. Could you send it to me as well? Hi Mary! I’m so sorry! I just sent an email to you! You must sew A and B together first. Once that is complete, you sew C to the block. They fit exact, so you might want to check measurements to make sure you have cut them correctly. Let us know if we can answer any more questions! Hummmm. You sure the issues are fixed. 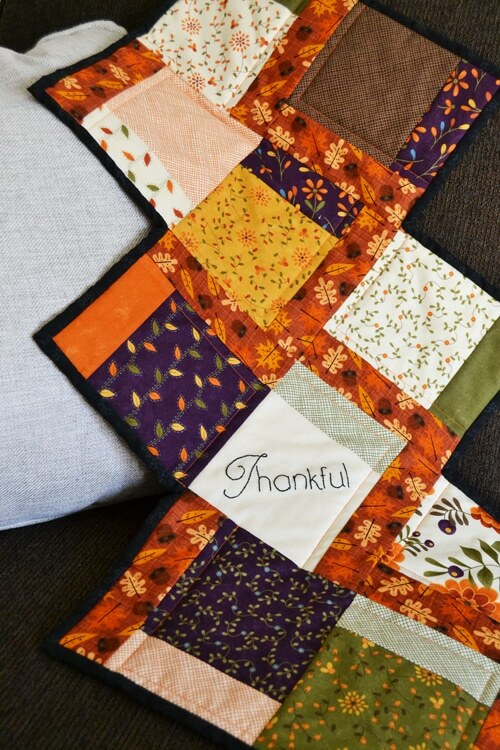 Been looking for a pattern that would showcase a few fall fabrics I have and this is perfect! Love it. But have been waiting 30 min for the email and no luck. I think I’ve gotten the download and comment issue fixed, but please contact us if you have any trouble getting the pattern sent! Thanks for all the patience! I received your pattern earlier this year but have lost it. I want to Make more for my daughters shower.i love the runner and thank you in advance. The free Fall Charm table runner is not downloading, just sits there. It is beautiful and I am looking forward to making one. Hi! I didn’t get the pattern, either. Hi Lori! Sending the pattern by email to you! 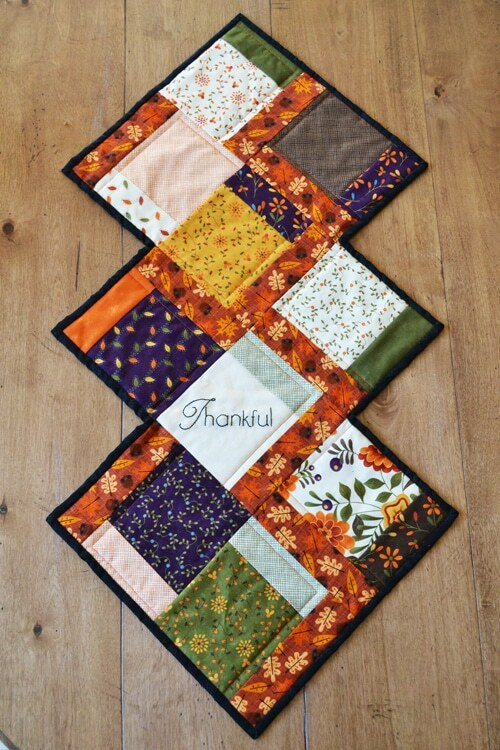 How do I receive the Fall Charm Table Runner Quilt Pattern. I have submitted my name and e-mail address for the free PDF pattern, but have not received it yet. Did you get the pattern? I submitted my name and email address too but I have not received it. Did you get your pattern? Table runner looks interesting and not overpowering. It isn’t hard at all. And with a charm pack, the fabric is coordinated, which is one of the hard tasks of quiltmaking. 🙂 Hope you give it a try! I just saw this comment, maybe the comment mod hiccuped! Sorry for the delay in answering.